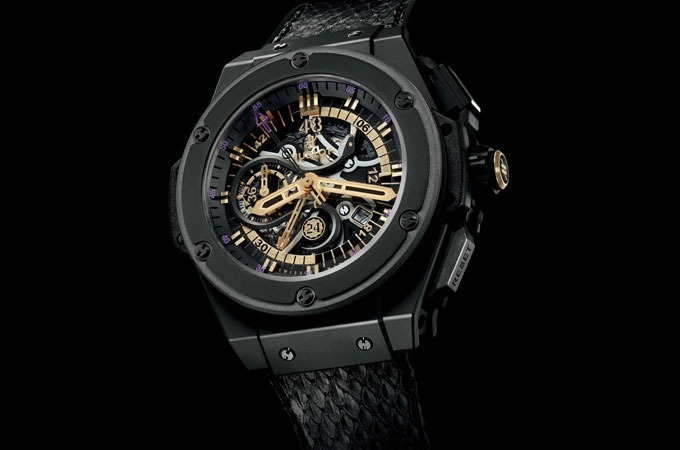 Limited to only 250 pieces Hublot is adding to an already considerable roster of brand ambassadors, the renown watchmaker commemorates the partnership with Kobe Bryant with this limited edition timepiece dubbed the Kobe Bryant x Hublot King Power Black Mamba Chronograph Watch. 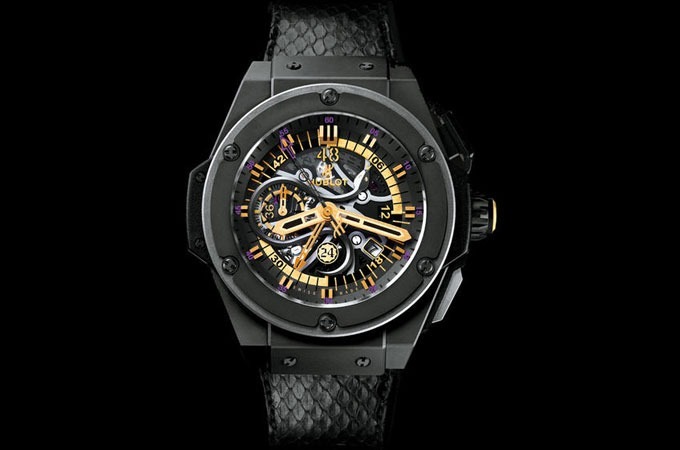 Decked in all black with purple and gold accents, the watch sports a HUB 4248 automatic chronograph movement inside a 48mm ceramic case with titanium and resin composites, a skeletonized dial, gold hands and indices with black Superluminova, and a black Python snakeskin strap with rubber backing. 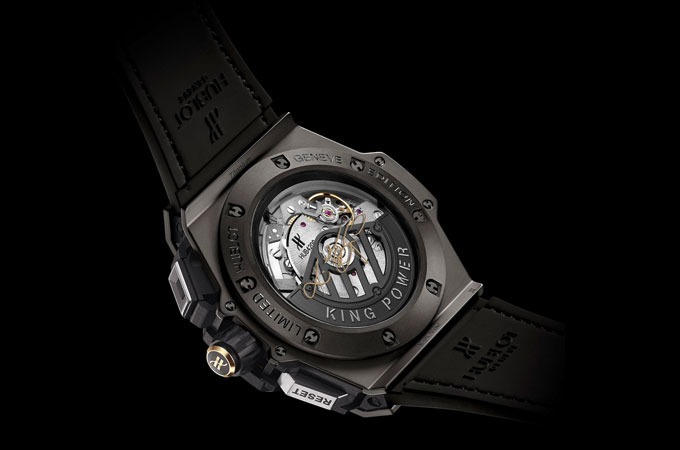 The watch will be available exclusively at select Hublot boutiques.